COLLEGE STATION, Texas — Nine swimming and diving standouts have signed with the Texas A&M women’s team and will join the Aggies for the 2014-15 season, head coach Steve Bultman announced. Born June 5, 1995 in South Carolina, Jessica Sloan is a Petroleum Engineering major at Texas A&M. Sloan is a freestyle specialist, and has been swimming since she was 8 years old. Although she grew up in Lousisiana, Sloan graduated from Magnolia West High School in Magnolia, Texas where she was in the top 10 percent of her graduating class. The 5’6″ New Orleans Saints fan helped to make up collegeswimming.com’s top recruiting class in 2014. Although she mainly swims freestyle, Sloan is also a strong 200 butterflier. Sloan is very decorated on the Texas state and district level – she was a two-time state champion and had 10 individual wins at both the district and regional level. Competing for Magnolia Aquatic Club for seven years, Sloan chose to swim for A&M due to the swim team, its coaches and the university’s school spirit. Sloan is currently in her first season as an Aggie. 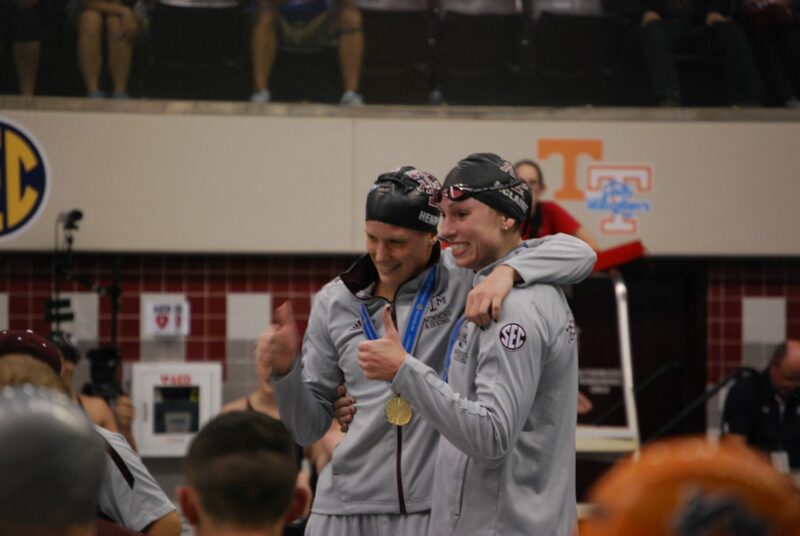 She didn’t compete at the SEC Conference Championships, but competed at the Speedo Champions Series in Austin – she focused on distance freestyle and the 400 IM. From 2011 to 2014 Sloan was a member of the All-State Selection in the 500 freestyle, a three-time State Selection in the 200 IM and she also made All-State in the 200 freestyle her senior year. Sloan holds six Magnolia West school records, and a multi-medalist at the District/Regional Championships.